Coll. No. 718, 20 Nov 2011, characters observed while keying: Perennial herb; Stem erect; Internodes visible; Leaves ±equal in size upward; Infloresence axillary clusters distributed along stem; Calyx 5-lobed, radially symmetrical, lobes and tips equally hairy; Flowers radial, 3 mm; Stamens exserted, fertile 4; Style exserted. 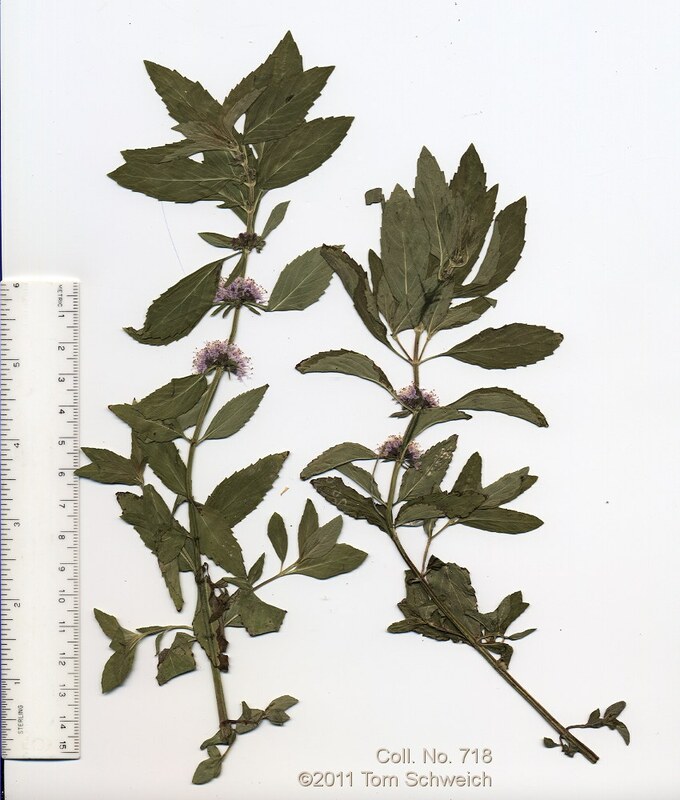 Other photos about Species or Lamiaceae Mentha arvensis.